Daily Illuminator: Why Did You Even Pick It Up? October 20, 2011: Why Did You Even Pick It Up? On the surface, Curse! 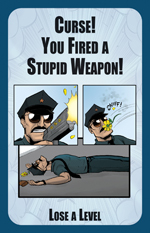 You Fired A Stupid Weapon doesn't make much sense. Why would you even pick up a gun with flowers painted on it? But then again, why would you pick up a Duck of Doom in the middle of a dungeon? Curse! 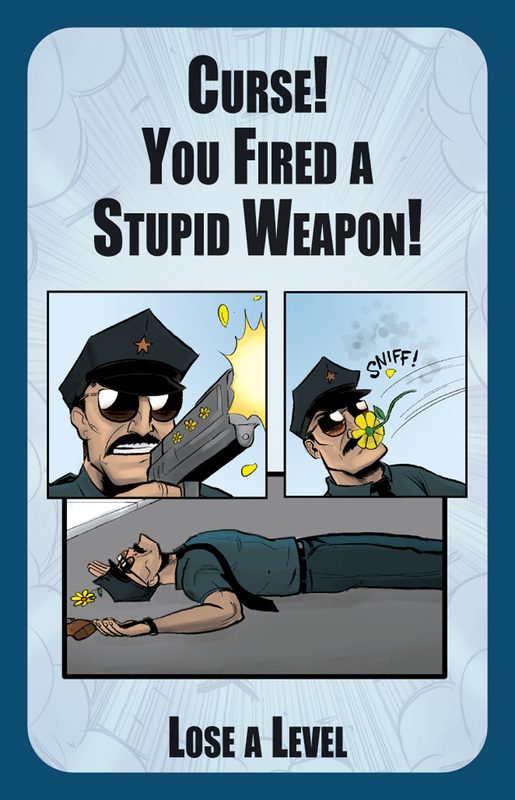 You Fired A Stupid Weapon is one of many Curses in Munchkin Axe Cop, coming to a friendly local game retailer near you soon!